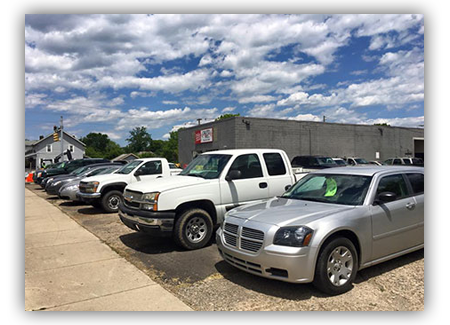 Come to The Auto Pro in Newark, OH when you’re looking for a quality used vehicle. Since 1998, we’ve sold a variety of cars and trucks to drivers throughout Licking County, including Newark, Mt. Vernon, Heath, Granville, Buckeye Lake and the surrounding towns. As a licensed, bonded and fully insured business, we provide honest sales at a fair price. Why buy a used vehicle from The Auto Pro? We offer a wide variety of makes and models, so you’ll be sure to find something that fits your needs, whether you need a simple sedan to get to and from work or a minivan for the whole family. Our vehicles are thoroughly inspected and repaired before we put them up for sale, so you can rest assured the vehicle you buy will be in top shape. All of our vehicles come with a warranty, so you’re fully protected. We offer “no credit needed” financing for a simple and hassle-free way to pay for your new car or truck. Buy here and pay here. To learn more about our current inventory of used vehicles, call (740) 345-4930.